With the rapid growth of portable computing devices and the increasing adoption of cloud-based software solutions, enterprise data are being exposed across an array of cloud applications which often fail to meet security and compliance standards. 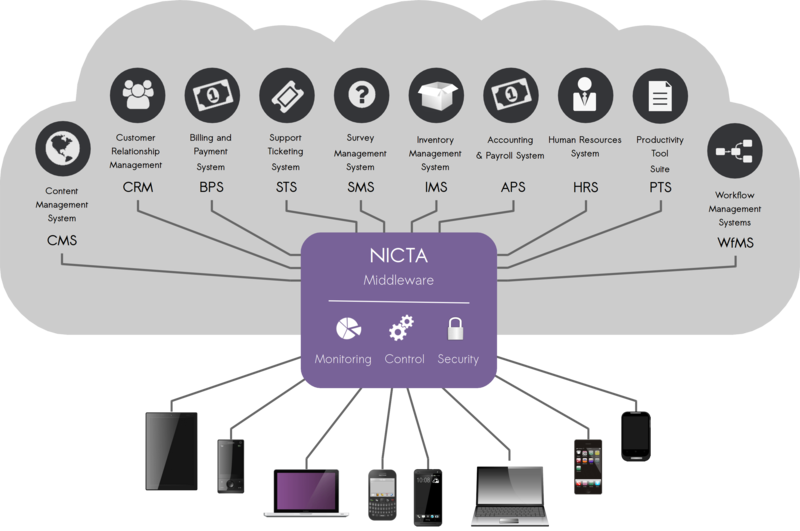 The challenges of the rapidly evolving mobile and cloud environment (BYOD and BYOA) include data-loss prevention, data governance, network security and access control. Data61’s Cloud Security Enforcement project is a holistic monitoring and management solution delivering opportunities for increased assurance and productivity gains while bridging the gap between BYOD program requirements and Cloud based SaaS solutions. Improving the security controls of Cloud applications on several fronts including: stronger end point SSL standards, safer authentication and access controls, user data encryption and masking, and more. Monitoring and managing mobile access to Cloud services as part of a BYOD program which doesn’t require agent installation on devices or modifications to the Cloud solution. Monitoring employee activity on Cloud applications through collecting detailed KPIs and log sources directly from monitored interactions between the users and the Cloud applications, regardless of where, how and when they have occurred. Discovering detailed usage patterns through tracking every user/device access to Cloud services in order to rapidly detect usage anomalies. Deviations could signal that the device/user account is compromised and would require security tightening such as revoking sessions (requiring re-authentication) or removing access altogether.